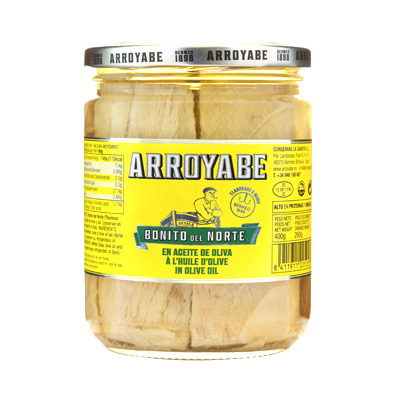 Albacore Tuna in water. 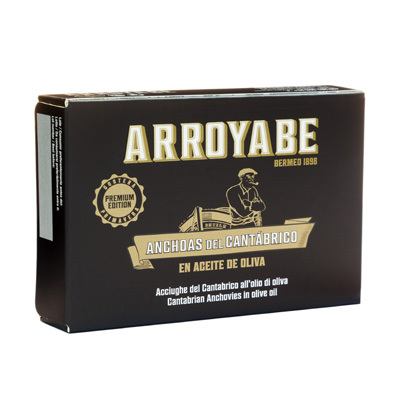 Healthy choice. 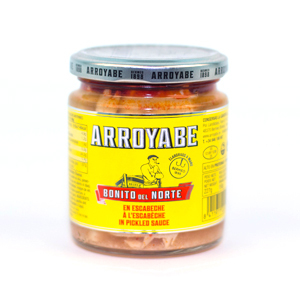 Want to ingest fewer calories without relinquishing your favorite tuna? 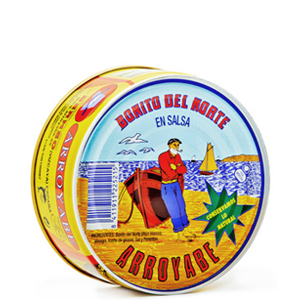 White tuna in water is your solution, with less calories than typical albacore preserves. 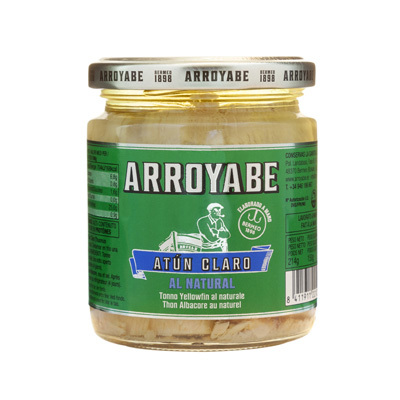 Moreover, it is highly recommended for salads, as dressing is added at costumer’s choice. 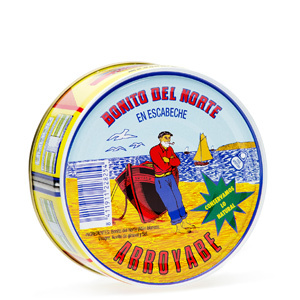 White Tuna (Thunnus Alalunga), water and salt. 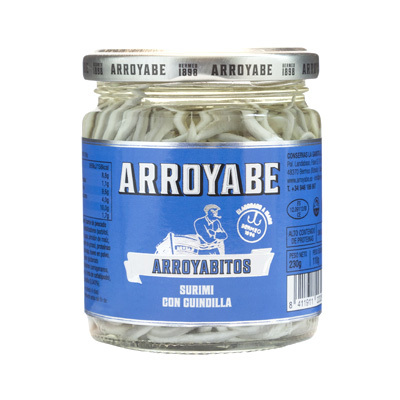 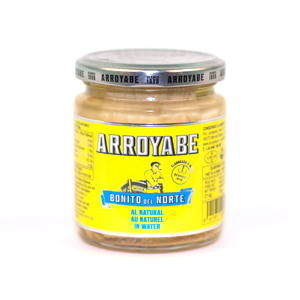 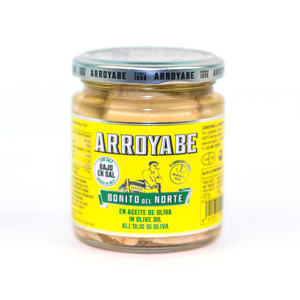 Arroyabitos “gulas” in glass jar 250 gr.